OAKLAND, Calif. -- The FBI has gotten involved in the ongoing "creepy clown" phenomenon affecting schools here in the Bay Area and across the nation, according to a spokesman for the Oakland Unified School District. "... we suspect some Oakland students may find it amusing to act like clowns or post threatening messages on social media. It is not," District spokesman John Sasaki said in a statement to students and parents today. "The students need to know that the Federal Bureau of Investigation (FBI) is now investigating this phenomenon here and across the country and has the technology to find anyone who has been sending threats to others, even anonymously," Sasaki said. Sasaki said the idea behind the lockout was to prevent anyone wanting to engage in "creepy clown" antics from coming on campus so teachers wouldn't be distracted. No one reported seeing any clowns near campus today and school activities went on without a problem. After school activities, including football games, will go on tonight, Sasaki said. 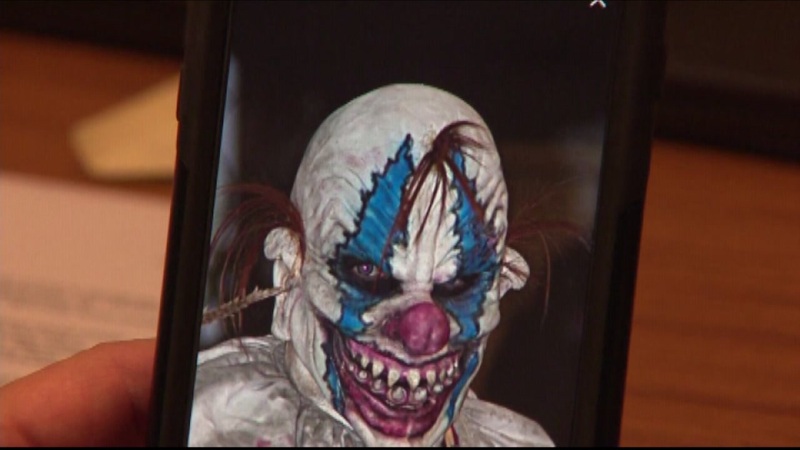 School officials are quite certain that the "creepy clown" sightings and threats in the Bay Area are hoaxes and copycat behavior. No students, faculty or staff at the schools have been injured because of the threats or sightings. Clown sightings have been reported throughout the Bay Area all week, most menacingly in Concord, where a mother reported a "creepy clown" tried to kidnap her 1-year-old child on Wednesday afternoon. The woman kicked the clown in the shin and the person fled. No suspects had been located as of today, according to Concord police. The Rohnert Park Department of Public Safety said today that officers have responded to nine clown sightings in the last three days, though nothing criminal is suspected. Sonoma State University has responded to clown sightings as well as an unrelated person in a gorilla suit, according to Rohnert Park police. Fremont police reported a clown sighting this morning. Richmond police confirmed today that a clown was seen around 2 p.m. Wednesday near Planet Fitness at 4925 MacDonald Ave., police spokesman Lt. Felix Tan said. Other sightings and threats have been reported in Antioch, Burlingame and Fairfield this week. Most of the threats have been hoaxes. The clowns that have been seen have scared people but few have been dangerous. Whether students will be allowed to wear costumes at all will be decided by officials at each school.